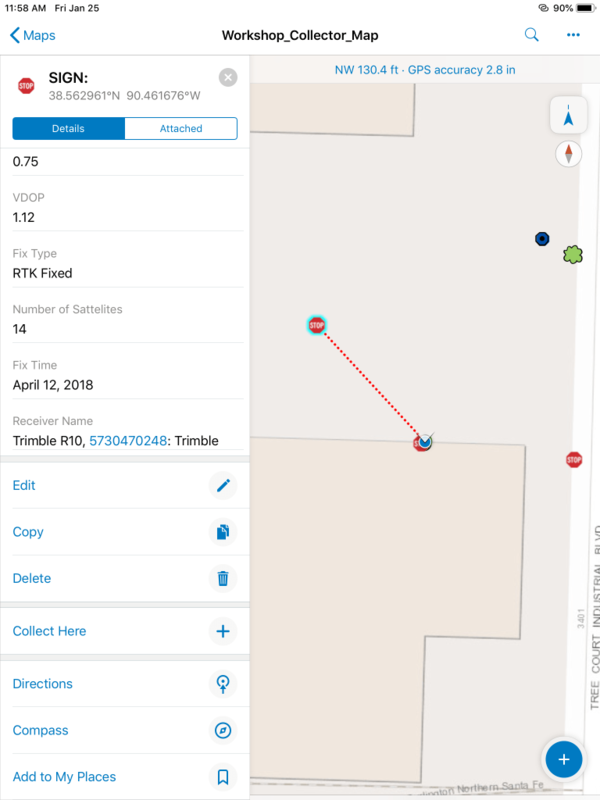 Have you ever wanted to make it easier for you or your field crews to locate assets that you have already collected in the field? With the latest release of ESRI Collector v18.1.0 for iOS, ESRI has now added the functionality to use straight-line navigation back to assets you have already captured. Select the feature you wish to locate, once that feature is selected scroll down on the left-hand side where your attributes are located. At the bottom, you will see a tab that says Compass and this will give you the straight line needed to confidently navigate to that feature. The directions will tell you which way to go, the distance left, and the accuracy of your GPS device. The screenshot below gives an example of straight-line navigation. If you have any questions about this please contact us at [email protected].